About 25% of people whose marriages took place in the early 90s went on to get divorced before their ten-year anniversary. The Chinese American divorce rate currently stands at 10 divorces per 1000 married people, according to the American Community Survey. Marriage can be challenging, but no one should stay in a relationship that no longer works. Couples decide to divorce for a variety of reasons: infidelity, abandonment, or the marriage simply being irretrievably broken. Elliot Green Law Offices understands that the decision to get divorced can be incredibly taxing on couples and their children. Resolving issues like division of property, custody of children, alimony, and child support in a timely manner can help families move forward from this challenging period. When your future and your children’s future is on the line, Elliot Green Law Offices in Queens, Brooklyn, and Staten Island can help. Every state’s divorce laws are unique. New York, for instance has complex divorce laws that couples must follow in order to be granted a divorce in the state. Failure to properly follow the law can result in the divorce not being granted in Queens, Brooklyn, or Staten Island, New York. New York, for instance, is a state that grants at-fault divorces. When is it appropriate to file an at-fault divorce? One partner treated the other in a cruel or inhumane manner (domestic violence). One partner abandoned the other for a period of one year or longer. One partner was imprisoned for at least three years after the marriage took place. An at-fault divorce can take place if the other partner agrees to the accusations being made. Otherwise, you may have to prove to the court the grounds for issuing an at-fault divorce. For instance, if domestic violence occurred in the marriage and there are court documents to prove this, individuals can seek divorce for cruel and inhumane treatment. Abandonment is defined in many ways by the court. A person can be emotionally abandoned even while residing in the same house with a spouse. Adultery is another way individuals can seek an at-fault divorce in Brooklyn, Queens, or Staten Island, New York. Yet, a third party will have to testify that sexual relations took place in order for divorce on the grounds of adultery to be proven. Because a witness is required, it can be sometimes difficult to prove divorce on the grounds of adultery. However, at-fault divorce is not the only way couples can get divorced in Brooklyn, Queens, and Staten Island, New York. 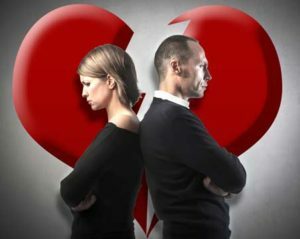 If a marriage has been irretrievably broken for a period of six months, couples can seek divorce on the grounds of irretrievable breakdown of the marriage. This is considered a no-fault divorce. Whether you plan to seek a fault or no-fault divorce, many important decisions must be made. Couples must decide about the amount of child support, alimony, and division of assets. These decisions are not always easy to make, as they often involve complex financial issues and concerns that are deeply personal. Elliot Green Law Offices offers compassionate counsel to help you and your loved ones every step of the way. Brooklyn, Staten Island, and Queens are highly diverse communities. Culturally, divorce has become more accepted and prevalent in China. As a result, more Chinese American couples whose marriages are not working may see divorce as an option available to them. Elliot Green Law Offices take the time to understand each individual’s concerns with regards to divorce and find a culturally acceptable resolution that is also in line with New York law. Decisions about child custody, child visitation, and child support can be challenging for many couples. New York courts strive to make decisions that are in the best interests of the children. Division of property can be a fraught issue for many divorcing couples. For instance, cultural assumptions about head of household, ownership of property, and custody of children may not be in accordance with New York State law. Individuals getting divorced may not be aware that they could be entitled to money, property, or other assets acquired during the marriage. Women who are not primary earners may assume that they are not entitled to receive any property or assets. Yet, New York state law considers marriage an economic partnership. Because of this, in New York, property is divided equitably based on many factors. Chinese Americans who are getting divorced in Queens, Brooklyn, or Staten Island should always seek an experienced divorce lawyer to review the case and determine the best course of action. Elliot Green Law Offices offers compassionate counsel and fair litigation to Chinese American couples seeking divorce in Staten Island, Brooklyn, and Queens.